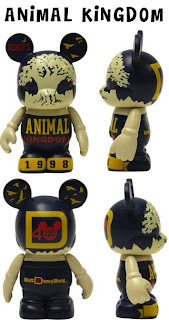 Update: 5/17/11 Disney has released pictures and information about the Cast Chasers for this series. They are “distributing” these figures to the Walt Disney World stores as we speak… meaning they are not there yet. 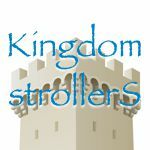 They are exclusive to WDW. Disney will let us know when they are available. 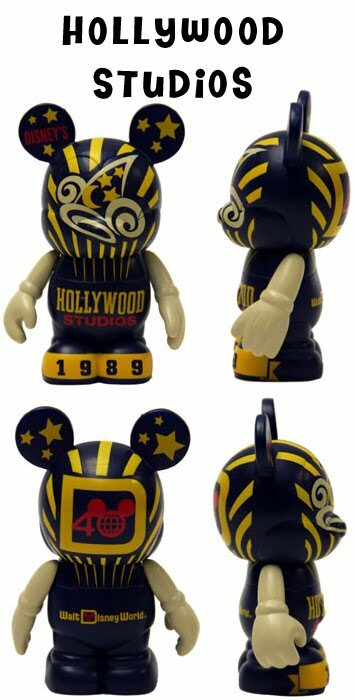 They also announced they are working on Disneyland exclusive figures. 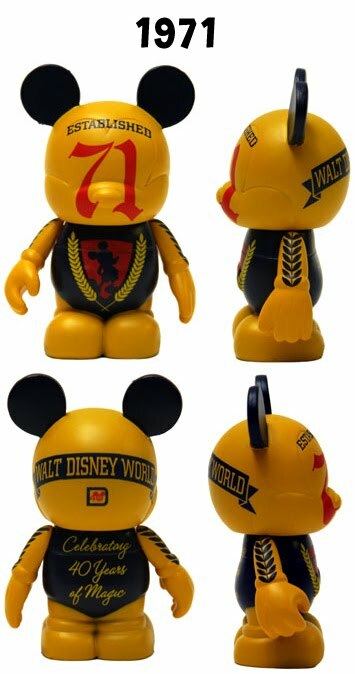 Update: 1/27/11 Disney announced that this series will only come out on the 28th in Florida, California will have to wait til February 4th to purchase these. 1/19/11- Disney just announced a release date for the Walt Disney World 40th Anniversary Vinylmations. 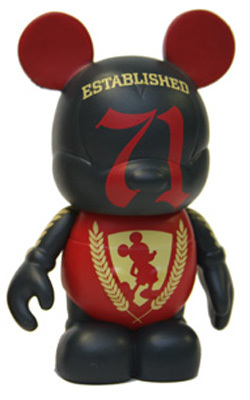 The figures will be available on January 28th at both D-Streets, California and Florida. February 4th in California. There are 6 figures in this open window set. The set will also contain 2 variants of two of the figures from the set. They have the same design, just different colors. The variants will only be available by trading with a Disney Cast member inside the Walt Disney World theme parks. Retro style and colors. If you noticed, all four parks are represented in D’s around the head. The year Walt Disney World was opened. The first of the four parks, opened in 1971. On the head is the Cinderella Castle. On the back of the head is the 40th Anniversary Logo. Opened in 1982 from plans that Walt Disney drew up. 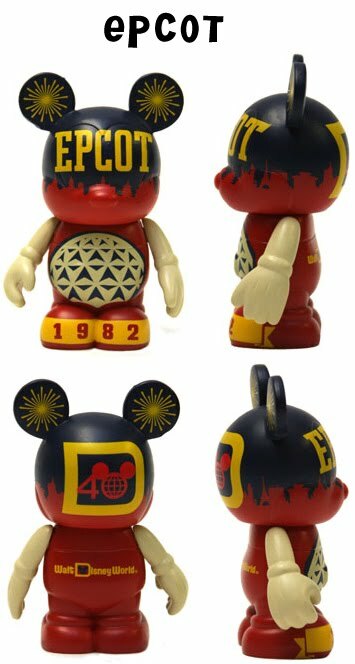 The giant “ball”, Spaceship Earth, is represented on the belly of this Vinylmation. Around the head are the silhouettes of a landmark building from each of the countries in the World Showcase. On the back of the head is the 40th Anniversary Logo. Previously called, “MGM Studios”, this park opened in 1989. 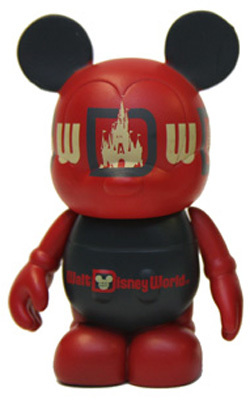 On the face of the vinylmation is the giant Sorcerer Mickey hat that represents the park. On the back of the head is the 40th Anniversary Logo. The fourth, and final (so far), park. It opened in 1998. It’s symbol is the “Tree of Life” (soon to be a 9″ Park 5 figure). On the back of the head is the 40th Anniversary Logo. The first of two color variants that will be exclusively available by trading with a cast member at the parks. 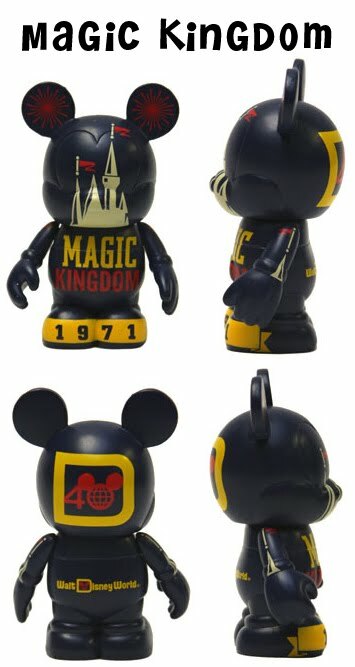 Based on the WDW figure. The second of two color variants that will be exclusively available by trading with a cast member at the parks. Based on the 1971 figure.